The deceased males have been identified as 34 year-old Bernard Trumarde Winston-Haynes and 25 year-old Courtney Jamal Nelson. 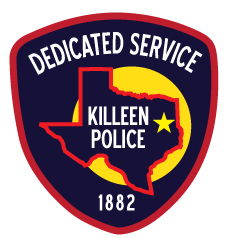 Killeen Police investigate shooting in the 400 block of South 2nd Street. Officers responded to the Lone Star Inn and Suites, located at 409 of S. 2nd Street, on Sunday, December 17, 2017, after receiving numerous 911 calls just before 2:30 a.m., about shots fired. Upon the officers’ arrival, they located two male victims suffering from gunshot wounds. Both victims were immediately transported to the Carl R. Darnall Medical Center in critical condition. One victim succumbed to his injuries and was pronounced deceased by Justice of the Peace Bill Cooke at 4:44 a.m. The second victim was subsequently transported to Baylor Scott and White in Temple where he succumbed to his injuries and was pronounced deceased by Justice of the Peace GW Ivy at 7:08 a.m. The preliminary investigation revealed that an incident occurred involving both males in which they shot at each other resulting in injuries to both parties. At this time there is no threat to the community involving this incident. Detectives are asking anyone who has information about this shooting to contact Crime Stoppers at 254-526-TIPS (8477) or go online anonymously at www.bellcountycrimestoppers.com. You can also download the app P3 tips for IOS and Android phones. All information is anonymous and confidential and if your tip leads to the arrest of the person or persons responsible for this crime, you could be eligible for a reward up to $1,000 in cash.